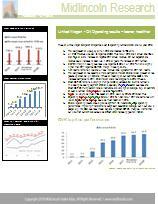 Overall operating results should provide optimism for investors as OVK operating performance improving. There remains skepticism about OVK leverage, but in our view a deeper dig into OVK business model explains high Debt/EBTDA multiples. We maintain our view that current levels should be attractive for increasing position in OVK.